Consistent with its Club and community emphasis on health-full living, recreation, and general well-being, Broken Sound Club (BSC) –a 5-Star Platinum Club of America and home to BSC’s award-winning and LEED® certified Moonstone Spa and Fitness Center – will champion Global Wellness Day (GWD) initiative in and around Boca Raton in countdown to and during the international GWD observance on Saturday, June 13th. 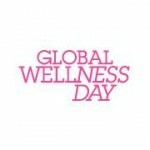 According to its founder, the annual GWD was launched in Turkey three years ago as the first-ever internationally designated day dedicated to wellness and now spans several countries and US cities as a worldwide non-profit making social movement created by volunteers dedicated to living well. 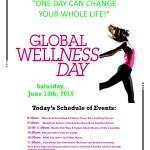 Created to be a collaboration of lifestyle-focused organizations, wellness coaches and exercise and spa professionals, the official day connects and inspires fitness, healthful eating, inner health and spiritual well-being, the purpose of this annual day is to make everyone aware of the value of our lives. on-the-waterfront exercise and Zumba classes, chefs’ demos on ‘health-full eating tips and tastes’ showcased by BSC Executive Chef Joe Longo and WRM Executive Chef Matt Mixon, complimentary poolside massages by BSC’s Moonstone Spa professionals, preventative medicine info and health screening services offered by Boca Raton Regional Hospital plus ‘mind-ful’ tips on mental wellness by Boca Raton’s Promise and more. While arrival by healthful walking is recommended, there is limited self-parking and when spaces are full valet parking will be available at $5 per car. to healthful cooking classes and demonstrations and social media tip sharing, etc.